The A3 Fliker Scooter is a three-wheeled scooter with a sleek, lightweight design. 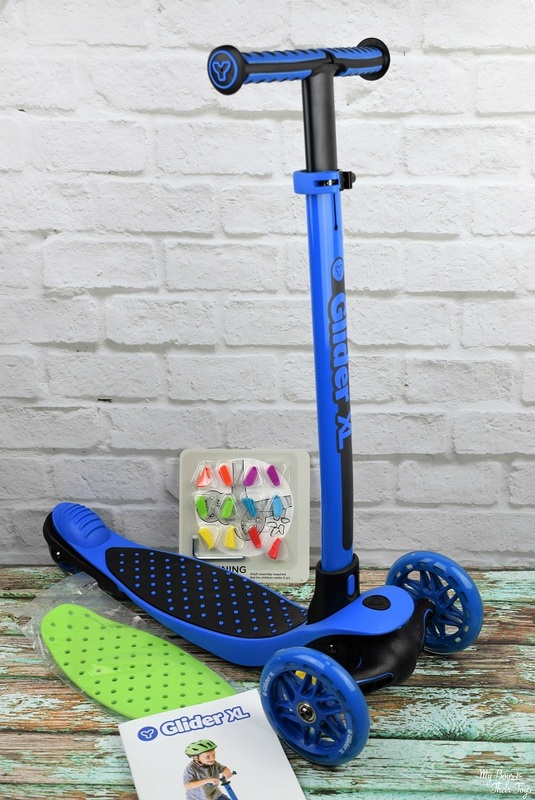 Perfect for kids ages 7+, the A3 Fliker Scooter allows kids to drift and carve like never before! All of the neighborhood kids have taken a turn or two on the boys’ new scooters. 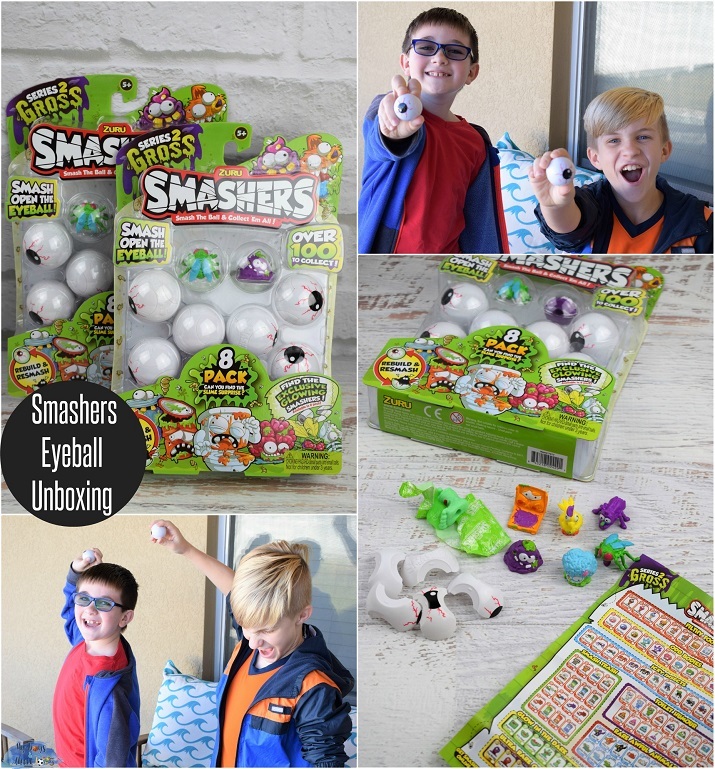 They’re a huge hit! 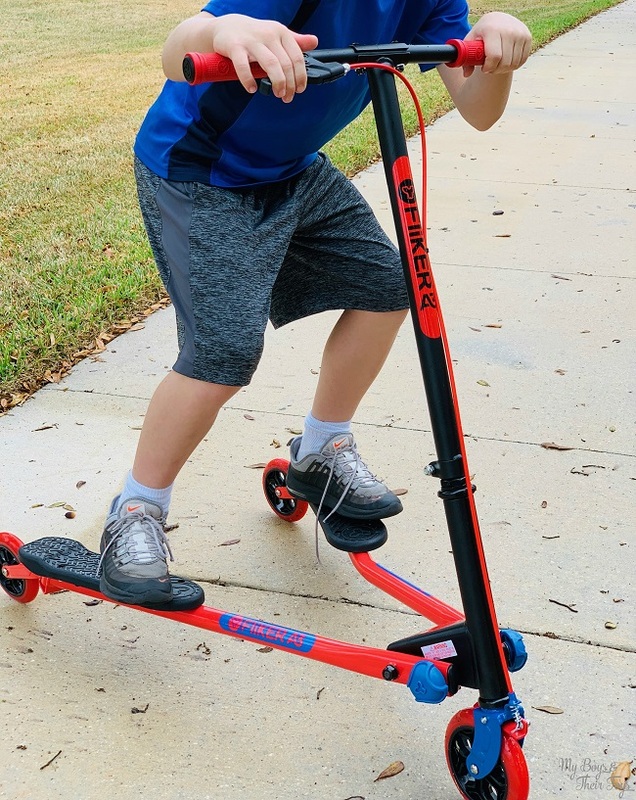 My 10-year-old is outside every day challenging his speed and trying out new moves on his scooter. 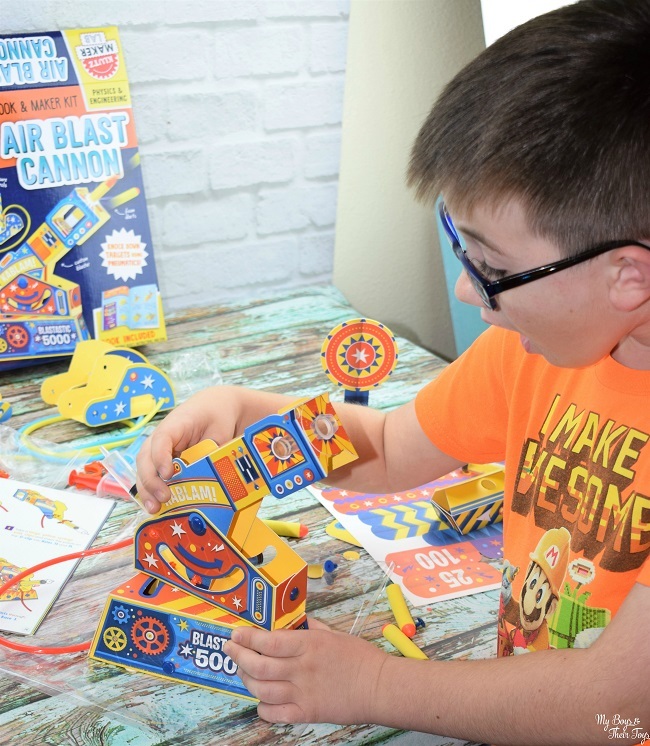 This will definitely be a lifesaver for summer boredom! The Y Fliker A3 has a maximum loading weight of 175 lbs which allows kids to grow with their scooter. It also has a quick response hand brake for increased control and safety. The industrial design casters are great for self-propelling fun, along with enhanced ABS footplates for superior grip. 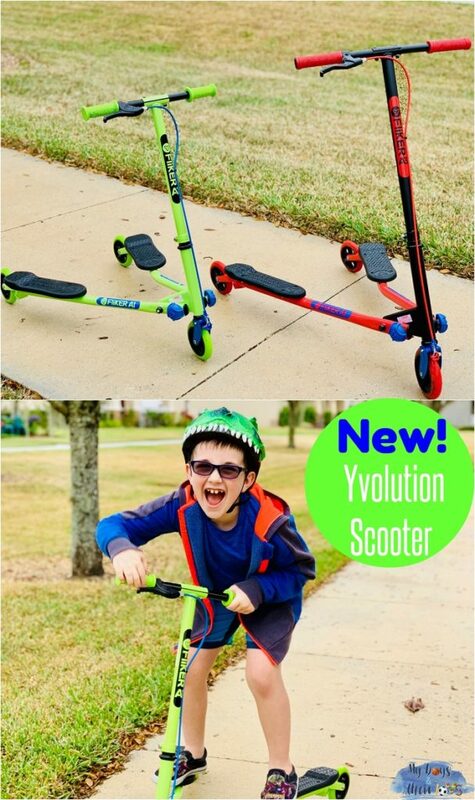 The Yvolution scooters are made with kids in mind! 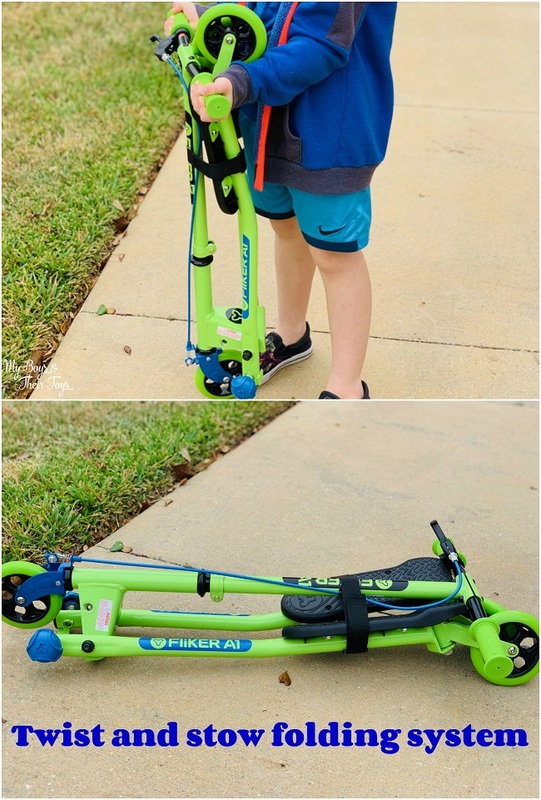 The A1 Fliker Scooter is recommended for kids 5+. 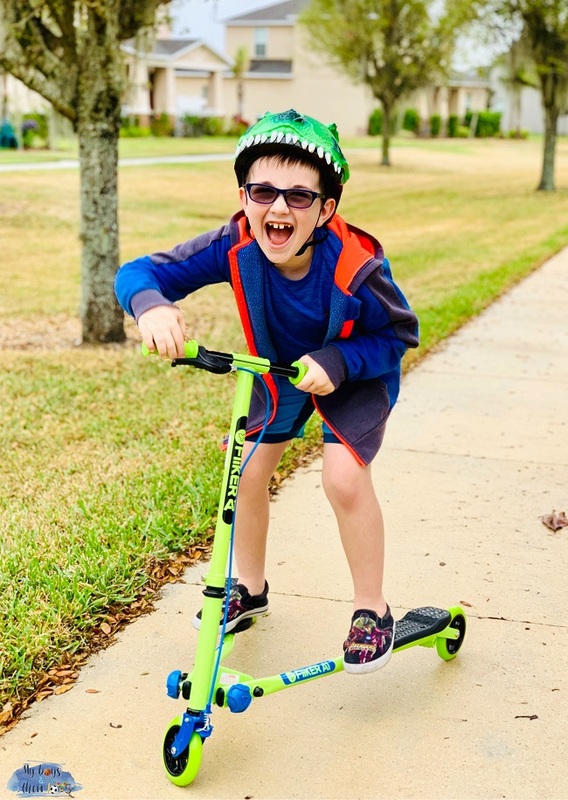 My 7-year-old is having the best time with his new scooter! Also, three-wheeled, the Yvolution A1 scooter is easy to control and a safe, fun ride. With similar features in the A3 scooter, the A1 has a maximum weight of 110 lbs. Both scooters also offer a twist and stow folding system which makes it convenient for on-the-go and storage at home. What a great feature! 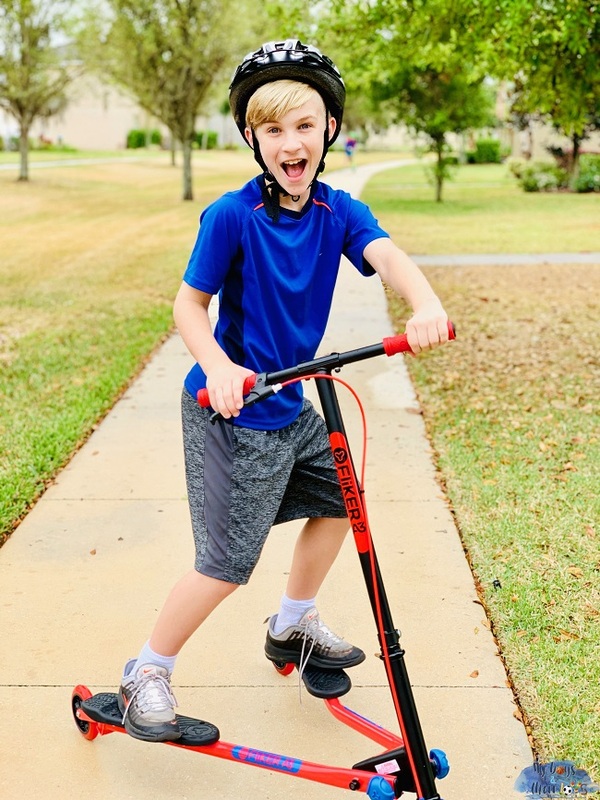 If you’re looking for an awesome new outdoor toy for the kids, head to Target to pick up the brand new Yvolution Fliker Scooters! Also available online. See our Fliker Scooters in action below! My daughter would love one of these! I like that it has a hand brake! These scooters looks awesome fun. My son would love this. This is awesome!! I love how it folds up for storage too! My son would love to go crazy on this!